For the past few years The LINQ and its dining establishments, entertainment venues and retail attractions have represented the continuous transition of Las Vegas from an inside gaming experience for casino players to an outside leisure and recreation experience for all. Located literally and figuratively in the middle of The LINQ and this transition is Brooklyn Bowl, which is celebrating its second anniversary this month. 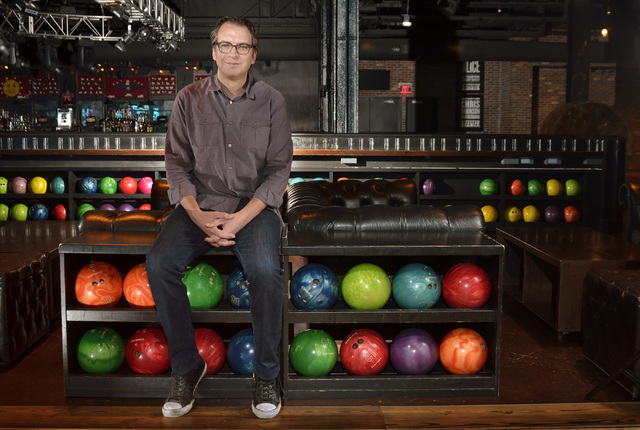 Brooklyn Bowl has transplanted its East Coast roots to Las Vegas to become The LINQ’s premier entertainment venue for bowling, corporate events, dining and music concerts. 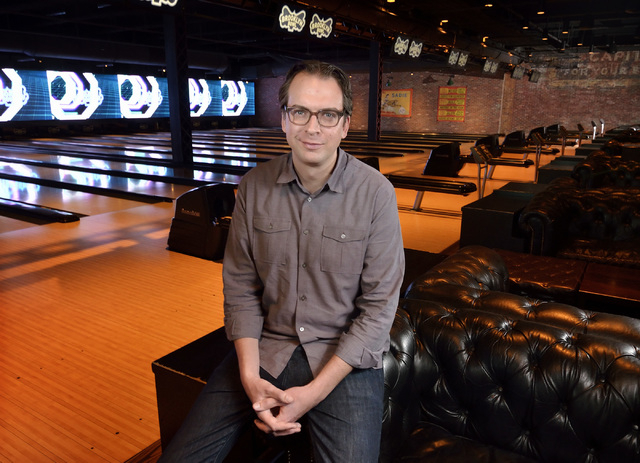 As Brooklyn Bowl celebrates its anniversary, the Business Press took the opportunity to speak with Chris White, Brooklyn Bowl’s Las Vegas senior vice president, about how the venue has redefined programming possibilities on the Strip. Q: How long have you been with Brooklyn Bowl? A: I have been with Brooklyn Bowl for three-and-a-half years, since conception. I started as a consultant, then came on full-time before the opening. Q: Describe the process of bringing a brand and venue made for New Yorkers to the Las Vegas market for tourists? A: We had to examine every part of the business and include the music programming and concert venue to reach more people. There was a long learning process that came with opening the Las Vegas venue, along with a million decisions. We have had the humility to say something is wrong and make adjustments. A large part of our success is that nobody is afraid to try something and move on. In Las Vegas, everything has to be bigger and better for tourists that come for a couple of days, while our New York location has the benefit of a local population of 12 million people right outside our door. Because of the turnover, education has been a large part of our outreach efforts, so that when tourists come into our venue from the Strip they can be informed about our unique experience. Q: As you celebrate Brooklyn Bowl’s second anniversary, what are some of the goals for the venue for 2016? A: We want to build on a very busy first quarter, and establish ourselves as a premier concert venue in town by building the best music programming as possible. We have been pleasantly surprised about the following we have received by programming reggae artists, so we will build upon that, as well. We are going to continue to grow our group business, especially corporate events. We have already hosted several events with Fortune 500 companies this year, including Google, and we are putting more resources to grow this segment of our business. Our most recent addition is a retail store we are opening onsite this month. It is a beta test store that will allow us to grow our brand and we will continue to add space, products and personnel after we see the initial feedback. Once again, we are not afraid to change or modify something once we start it, so it improves our guest experience. Since we do not have to worry about casino players, or hotel room nights, we can just focus on these offerings along with our entertainment and music programming to put on the best shows that we can. The best thing about this venue is that it will get better with age. Q: What has been the advantage of being located right in the middle of The LINQ? A: We have been able to be right in the middle of the growth here at The LINQ, from its grand opening to the new tenants that have come and will continue to come. We are still excited that we have the ability to feed off the 7,000 hotel rooms that are in close proximity of our location. We like to say we are on the “50-yard line” of the Strip, right in the heart of everything. All of us tenants at The LINQ have a real community feel and we are happy to be a part of it. By being able to provide a new dimension to the Las Vegas experience right in the middle of the Strip, it puts us on the forefront of the entertainment and music programming change occurring on the Strip. Q: Brooklyn Bowl has quickly established a reputation for booking up-and-coming music acts of all genres. What is the secret to your success? A: The trick is how do we keep the business profitable, marketable and still be relevant, young and trendy. We tap into our booking team in New York City and we work closely with AEG in Las Vegas. AEG sees everything that comes through in the market, and we always keep an open mind for our programming. We do everything from classic rock, reggae, hip-hop and even shows for 16 and 18 and up younger crowds. We have had concerts from all sorts of artists, from Beck to Erykah Badu. Q: How have charities and social media assisted in the promotion and visibility of Brooklyn Bowl? A: We have a high demand to host charity events, and we have been able to also support charities by offering thousands of tickets for shows since we opened two years ago. High-profile charity events like working with Randy Couture helps us work for a greater good and build even more buzz about our venue. Our social media efforts are based in New York City, so they keep us on the cutting edge for strategies and outreach. Our goal is to educate tourists about our venue via social media before they even come so they can have a more rewarding experience when they walk through our doors. Because we have so many different uses for the venue and entertainment options, educating the general public through social media is a real strategic process. Q: What else should the Las Vegas business community know about the Brooklyn Bowl venue? A: That we are a flexible venue that has an open mind, so come to us with all of your ideas and possible events because we have the resources to make it work for an unforgettable experience.